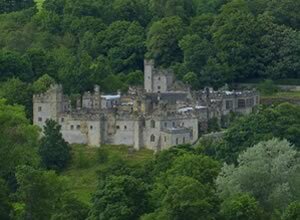 Haddon has welcomed visitors for hundreds of years and its beauty and atmosphere never fails to enchant. The house is open to visitors from April to October, with a number of special events being staged throughout the season. School parties and groups are very welcome. Further details can be found within the website. Haddon has featured in many films and TV programmes including Pride and Prejudice starring Keira Knightley, Matthew MacFadyen, and Dame Judi Dench. Also the BBC's 2006 production of Jane Eyre starring Toby Stevens and Ruth Wilson and, most recently, the feature film Jane Eyre, starring Mia Wasikowska and Michael Fassbender, released in the UK September 2011.